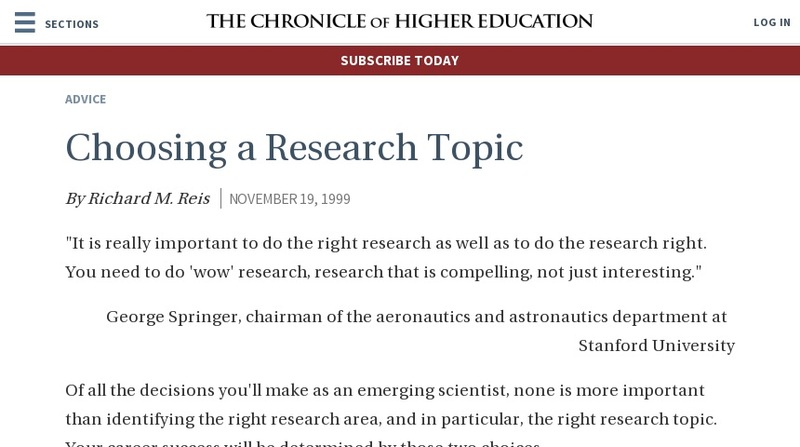 This website from the Chronicle of Higher Education features tips for graduate students on choosing a research topic. The author explains a variety of ways that a topic should be matched to the individual. A good choice can help lead to long-term career success.